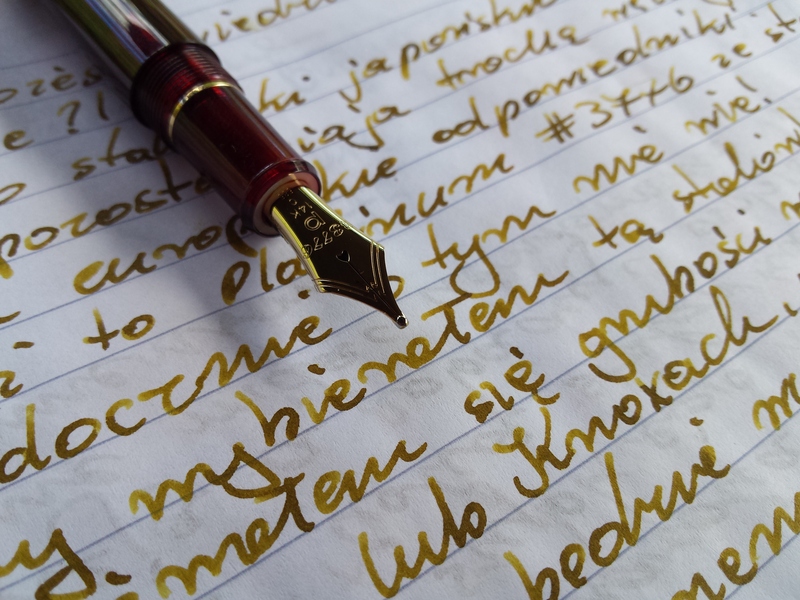 Mostly Japanese fountain pens have narrower nibs than their western counterparts, but this pen with C nib (which is referred as double broad) certainly never heard about such nonsense. Line is very broad, pretty wet but not gushing and of course butter smooth. I’d love to know which ink it is as well! The shading looks gorgeous, on what appears to be not specifically good paper (judging from the showthrough from the other side). 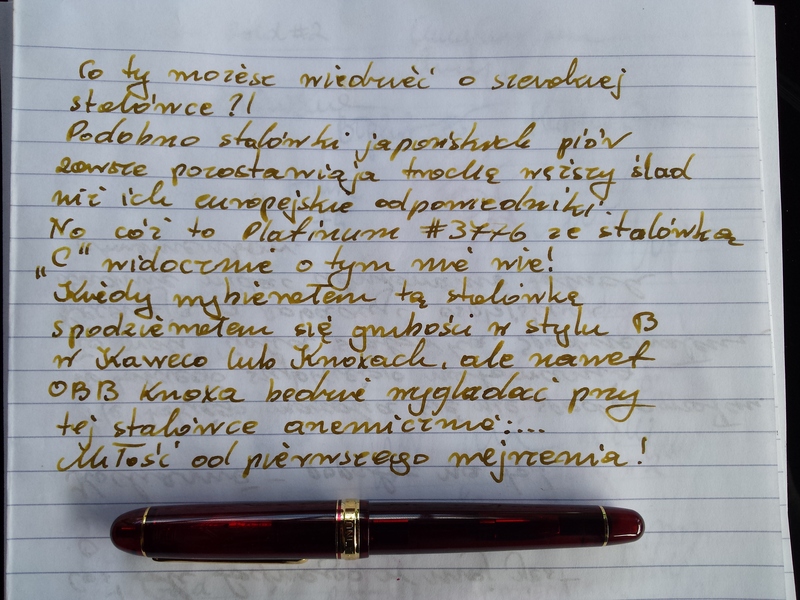 Smoothest nib I ever had, but it was a paintbrush, not a pen, so I had John Sorowka turn it into one of his speciality grinds. Very happy with the result. There is a lot of tipping material to work with here if you ever want to change it. 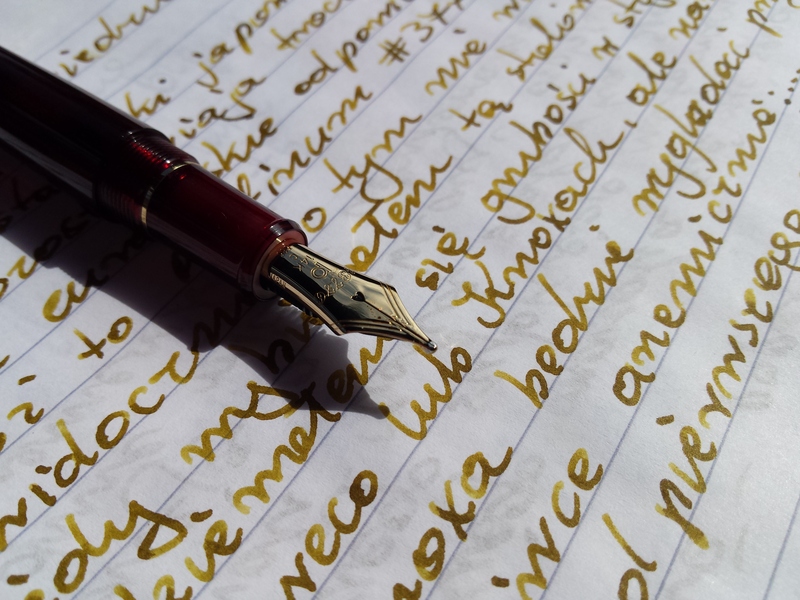 What a lovely ink, which ink is it? Thanks for pointing a pen that did not know! I use the pen to draw, as you can see on my site. I bought one, and I was so glad that I immediately bought another! Is it possible that KWZ INK produces me some liter of a special ink for the drawing? Another person wanting to know what ink this is!